Mini Olympics to start in Jaipur from 3rd October! Biggest inter school tournament of the Pink City, Maharaj Jagat Singh Inter School Tournament is to start from 3rd Oct and will continue till 7th October with over 2500 students participation from 50 leading schools. The Chairperson of Maharaja Sawai Mansingh Vidyalya (MSMSV), Rani Vidya Devi informed this during press conference held yesterday. Maharaja Jagat Singh Inter School Tournament began 16 years ago. It was founded by the late Rajmata Gayatri Devi in memory of her son the late Maharaj Jagat Singh, who himself was an avid sportsperson and sports fan. Five new disciplines of athletics, tennis, table tennis, squash, and badminton have been added to the tournament. 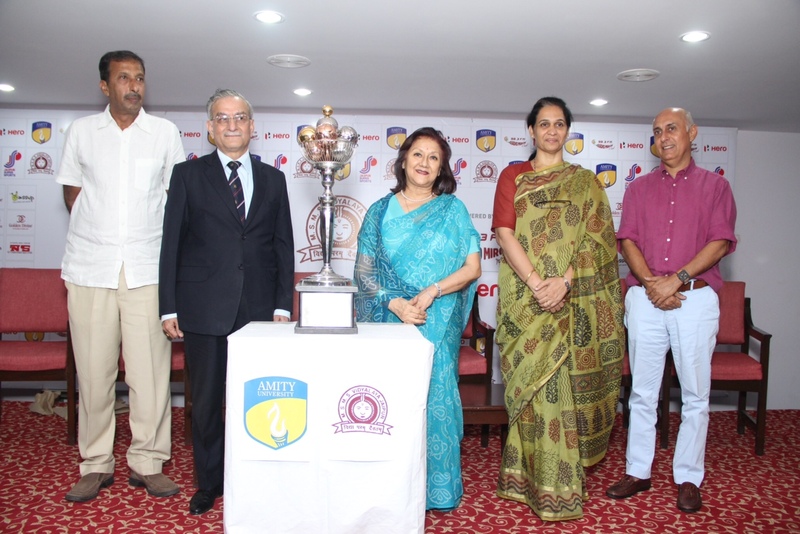 The Tournament that is organized by MSMSV will now have a main sponsor in form of the Amity University. The former physio of Indian Cricket Team and presently of Rajasthan Royals cricket team, Mr. John Gloster said that fitness and health were of prime importance to the school children. He appreciated the initiative in organizing a tournament of this stature. He expressed great satisfaction at the games and sports facilities available in the city of Jaipur. Previous Post A Night-Out in the Pink City! Next Post World Tourism Day: What’s Up in Jaipur today?